If you're reading this article, you understand exactly what it's like to be put through the pain of an abscess in your mouth. Even if you're lucky enough to only be experiencing pain on the mild end of the scale, that can be bad enough. Many people, myself included, have experienced abscesses that literally take your breath away, make your heart race, and put thoughts in your head that you would never normally entertain. One of those thoughts is likely to be, "Can I just pop the damn thing?" Though before we go into that, I want to make it clear that I am not a dentist, nor am I affiliated with any dental agencies, groups, or insurance companies. I am simply someone who had the unfortunate luck of being born with a predisposition towards early tooth decay. I've had plenty of tooth infections, abscesses, extractions, and painful dental conditions. So while I may not be a trained medical professional, I am certainly not ignorant of the health issues, pain factors, and safety concerns of oral health. I've also had plenty of opportunities to explore home remedies, one of which is popping or lancing an oral or dental abscess. 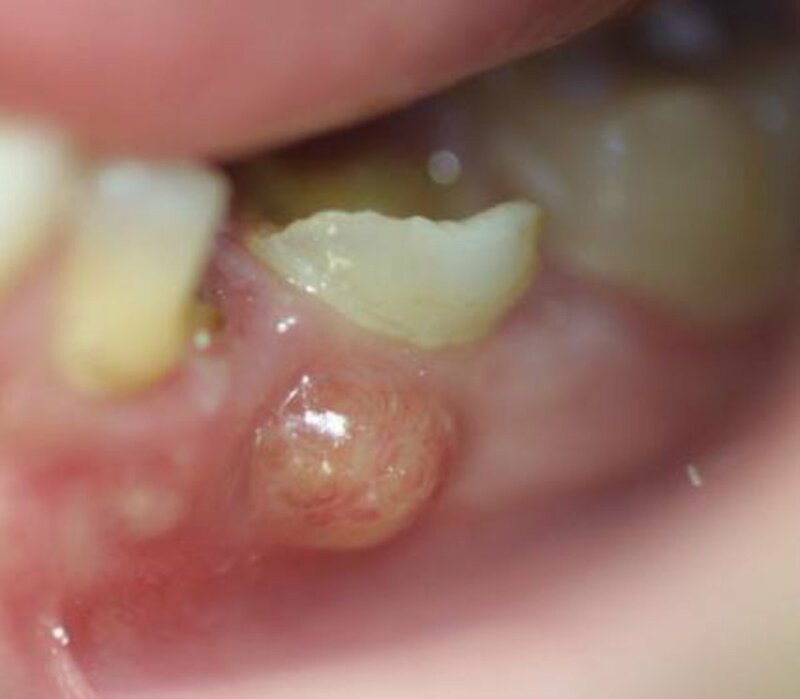 While you may assume little could go wrong when you lance an abscess, assumptions like this get people into serious trouble, especially when it comes to oral abscesses. Popping your abscess will definitely bring you instant relief—in case you were wondering—but if you're not careful it can also bring on a whole new set of problems. The biggest risk is getting an even nastier infection in your mouth. This could happen, for example, if you lance your abscess with a non-sterile instrument, throw up after the abscess bursts, or don't clean your mouth thoroughly after the abscess is drained. If any of this happens, you could introduce even worse bacteria into your mouth, and you don't want to see what happens next. You can also get sick if you swallow any of the pus, blood, fluids or debris that can come out of your abscess. Your body made the abscess specifically to trap and segregate all of that stuff. So you don't need any of that in your digestive system or blood stream. 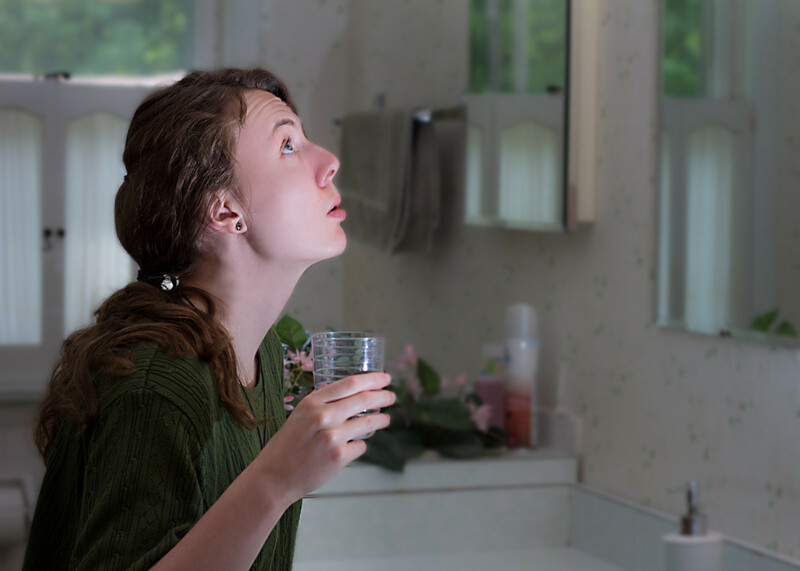 Even a small amount of pus down the hatch can spell big trouble if the infection was bad enough, your oral hygiene is poor, or your diet/general health has been lacking. It can be extremely painful and messy if you lance an abscess that is not quite ready to be lanced. Like fruit, abscesses have a way of ripening and preparing themselves to be burst. If you lance an abscess before it is ready to pop, it can be much more painful than it should be, and it might not fully drain or could refill. You run the risk of poking a vein with the instrument you use to pop the abscess, which means you may bleed a lot more than is necessary. There are several important veins in your mouth and around your gums, which dentists are trained to avoid. You're really not going to know where they are, even if you do a quick Google anatomy lesson. If you're taking any anti-inflammatories or blood thinners, bleeding could mean a trip to the urgent care center. All of the above and more can happen when you decide to play dental doctor on yourself. Sometimes it's worth it and sometimes it's not. This is why I bring up these issues, and it's also why you need to seriously consider them before you go searching through the house for the smallest sharp instrument you can find. If you choose to do nothing about your abscess, the abscess will most likely continue the ripening process and swell until it bursts. This is actually not a problem for your health, so long as the abscess is not anywhere near your neck or throat. But if it is, any further swelling can be dangerous, because it can block your airway or lead to serious heart problems. In fact, if your abscess is along your lower jaw line, and is large or is growing, go to a hospital now for IV antibiotics and a professional lancing before that abscess does you in. It can be that serious. Doctors and dentists would prefer you err on the side of paranoia and caution than to try to wait it out. One more thing to consider, while you prepare to lance your own abscess: even though you may get immediate relief from the pressure and pain of an abscess, you'll still have the pain of the wound and a source of open infection in your mouth. If you don't find the source of the abscess, then you're going to just keep getting abscesses that get worse and worse. What this means is that whatever you do, you still need to see a dentist as soon as possible. Trust me, I don't enjoy the idea any more than you do, but it's necessary if you don't want to be dealing with this issue again and again. And you can easily look at it this way: avoiding the dentist now means even more dental visits later. Visits to much more expensive professionals; multiple visits to your general practitioner or an oral surgeon may involve much more money than the $300 it would cost you for a visit to the dentist. If you're seeking free dental care, you may find that the worse your condition gets, the harder it is to find someone who will treat it. So go and get your mouth taken care of right away and don't wait for the pain or the abscess to get worse. Before you get ready to dig in, do everything you can to learn about your mouth, your health, and the art of popping that sucker just right. Ask your mother, call your neighbor, talk to your vet, do a google search and hey, why not call a local dentist? Most of them are nice enough to explain the best way to lance that abscess, and then you can make an appointment to get checked out after that. Honestly, the process is pretty easy, so we'll go through it in some simple steps. Hydrogen peroxide, preferably "food grade"
First, before you do anything: WASH YOUR HANDS. 20 seconds of lather minimum, using hot soapy water. Do this before you clean your pots, needle, ect... then do this again before you stick your hands anywhere near your mouth. Get out a pot and boil some water to sterilize your needle or other sharp instrument. While you wait, apply a generous amount of clove oil to the area around your abscess to numb it before you go in there. 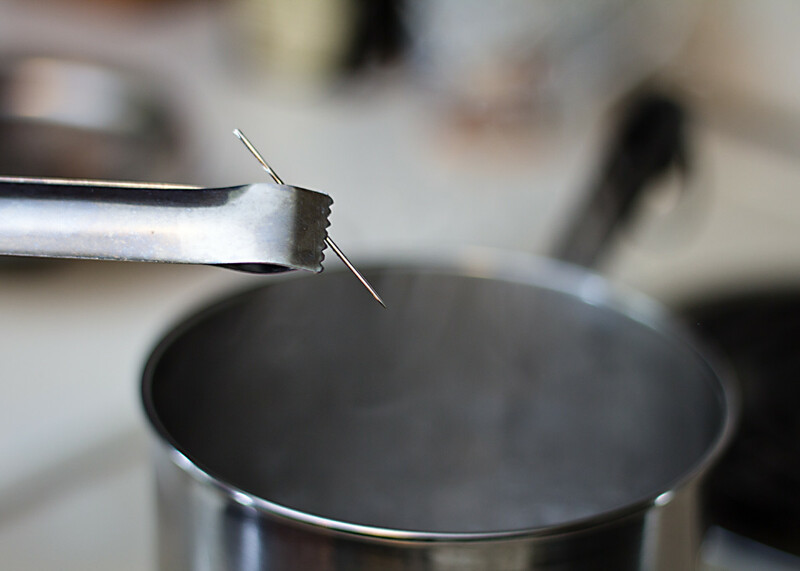 Once your water is boiling, drop in the needle or instrument and allow it to boil for at least two minutes. You might consider holding it in the water with a pair of tongs so that you don't have to fish it out into a strainer later. Once you're done, place the needle on a very clean plate and make sure not to touch it until you're ready to use it. 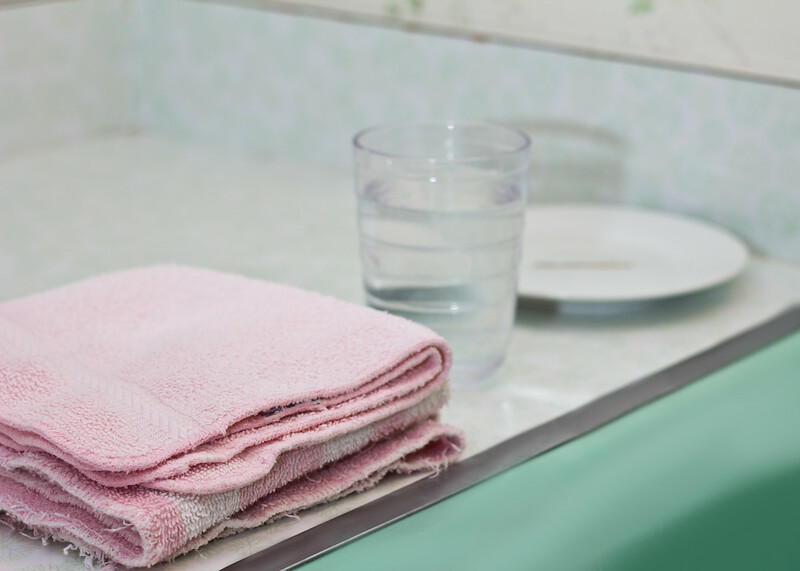 Take your stuff into a thoroughly cleaned bathroom, or use a sink that is easy to bend over and has been well sanitized. Make sure you have some washcloths nearby. Fill one of your glasses with cool water. This is very very important - WASH YOUR HANDS. Do it the way a nurse does, and soap up your hands while singing "twinkle twinkle little star." Then rinse and wash your hands one more time the same way. Trust me, you won't regret taking this precaution. Once you're done washing your hands, brush your teeth as well as you can with just water—no toothpaste! 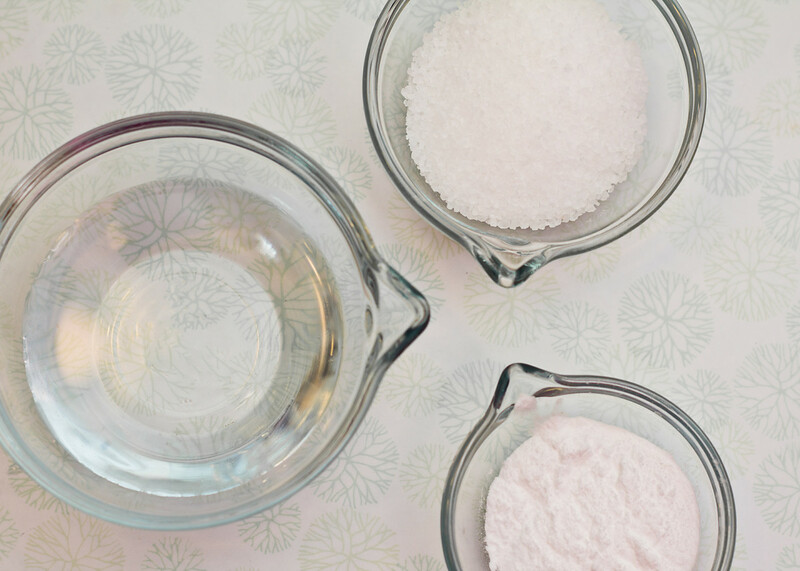 Then put a teaspoon of salt into a glass, fill it with water, swirl it around to dissolve the salt, and gargle with the salted water (remember that it has to be SEA salt). 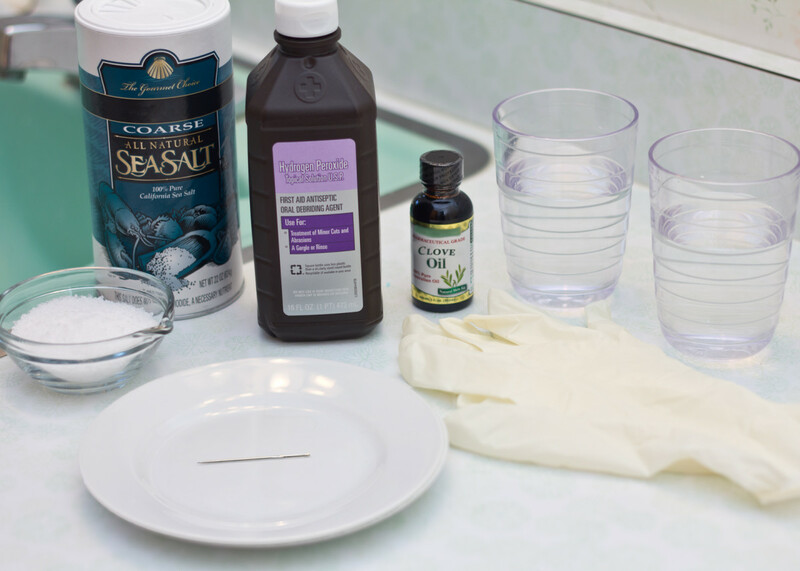 Take the empty glass, pour two capfuls of hydrogen peroxide into it, and dilute it with three times as much water. Set this glass aside for now. If you have latex gloves, put them on before starting. Next, prepare to pop that abscess. Make sure to get yourself mentally ready, as it will take some will power to poke yourself in the gums, and it's going to taste really really BAD. That being said, you'll also relieve the pressure and make it easier for your dentist to pull that tooth or do that root canal for you when you see them. So get your needle or sharp instrument out. 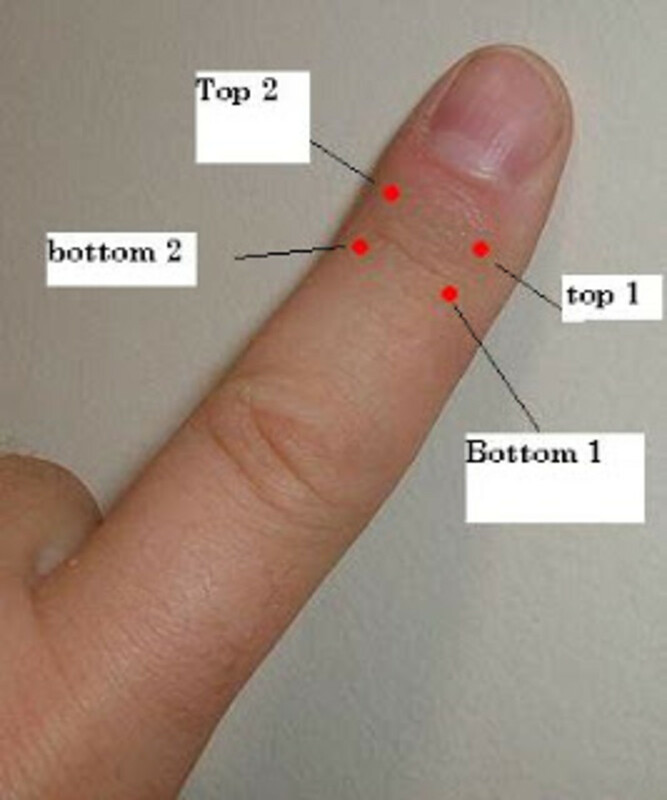 Try to position your hand and your fingers comfortably in your mouth where you can lance the abscess with a decent amount of force. You don't want to jab the needle in, but some abscesses are thicker than they seem. Being as careful as you can be, you want to force the needle into the sac of the abscess at its tightest or softest point. You have two choices with this: slow and deliberate, or the just-get-it-over-with-jab. The first method is where you slowly insert the needle into the abscess until it pops. It can be a bit more painful because it takes longer, but you're also less likely to go deeper than necessary. With the second method, you want to think about how you would quickly pull off a band-aid instead of slowly peeling it off. With a well-aimed poke of decent force (it doesn't take a lot! ), that abscess will be draining faster than you think. Be prepared to quickly pull your hand away from your mouth and get rid of that needle onto its clean plate. If your abscess is ready to give way, you'll have no problem just leaning over the sink and letting it drain itself silly, at which point you might pass out with ecstasy. If the abscess is slow to drain, you'll want to massage your cheek on the side of the abscess or use your fingers to apply pressure inside your mouth near the back of the abscess. Do this until no more pus, blood, or liquid comes out, and then do it a little bit more just to make sure. Once you're done, take your mixture of hydrogen peroxide and water, and swish it gently around your mouth. Make sure you spit it all out, and than gargle and spit with clean water to make sure you get everything out of there. Keep your mouth as clean as possible, for the next 24 hours especially. Avoid eating much, and stick to water only for a beverage. If you must eat, go with soft food and keep it on the opposite side of the abscess. How to Pop an Oral Abscess By "Drawing Out the Poison"
This is an alternative method that doesn't require any poking. Simply get some sea salt (I'm being very specific!) and baking soda. Mix the two together in a bowl with a little bit of water until you have a very thick wet paste. 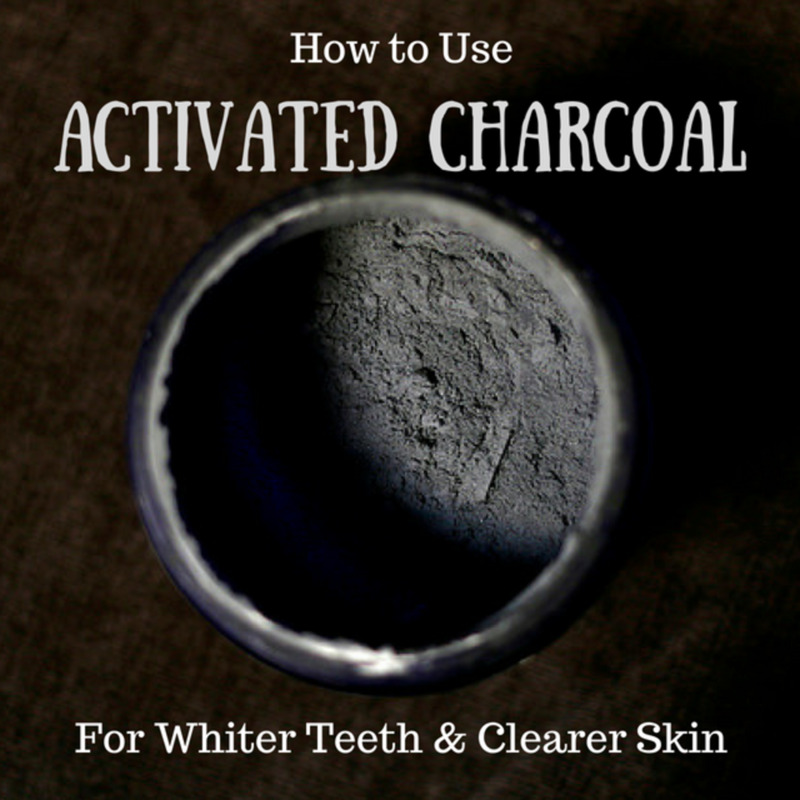 Take that paste and plaster it onto your gums where the abscess is and wait near a sink with a towel handy. It shouldn't take long for your abscess to burst if it's ready to, and you'll want to be ready to spit and rinse when it happens. Follow the last two steps above: rinse with the peroxide-water mixture, and keep your mouth clean. Another alternative method is to get yourself a tea bag. You want it to be either black tea, green tea, or Echinacea tea. Take the tea bag and dip it in lukewarm water until it's soft, then place that tea bag along the gum line near your abscess. Traditionally this is done overnight, while sleeping on top of a "drool cloth" and next to a bucket, though you can also do this during the day, as long as you keep the tea bag in. The tea works to "draw out the poison" in the same way that the salt-and-baking-soda trick does, which means that it will thin out the wall of the abscess so it will burst and relieve the pressure. 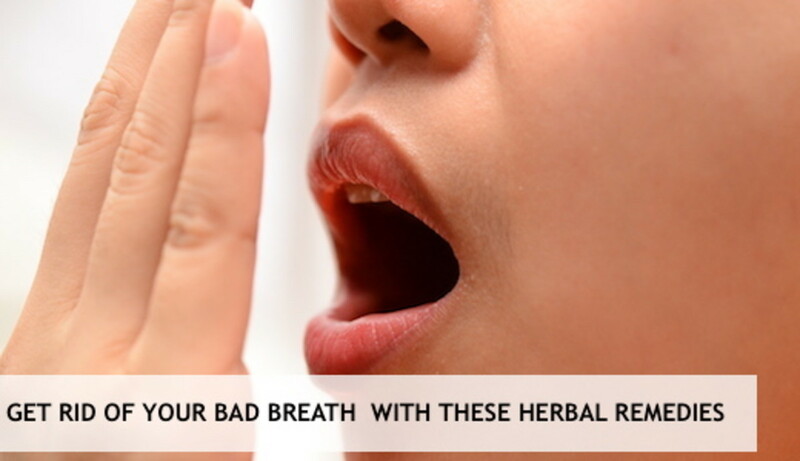 After it bursts, make sure you thoroughly clean your mouth and throw away that infection-filled tea bag. Popping an abscess is not much more fun than having an abscess, though if you're in a great amount of pain, it's one of the best ways to relieve that pain temporarily. Below I've added some videos that can help you on your quest for relief from oral pain caused by an abscess. I've had my fair share of experiences with dentists and there's definitely a pattern amongst DDS's in the world of sliding-scale and community dentistry. They're often surly, tired and underpaid. That being said, they know a heck of a lot more about what they are doing than you do, and more to the point—they have all the tools for the job. Dentists in traditional clinics are often paid more and have a better attitude, though we all know that a strong bedside manner comes with a big price. You take what you can get in this case, and what you can afford. Just keep in mind that what you cannot afford is to lose your job or your life before your time, because of a fear of the dentist or fear of pain, embarrassment, or losing teeth. Get it done and over with now and avoid a future mouthful of pain. There's just no good substitute for a good dentist. There are plenty of ways you can increase your health and avoid future dental visits by permanent changes in your diet, exercise, and emotional habits, but once you've already got pain, abscesses, or dying teeth, the dentist will be your only salvation. Thank you! Can t get an appointment for a while- so this will help in the meantime. Thanks- fab advice. Such a great article. Thank you so much!! I had a root canal about a year ago. The dentist drained all of the infection from the gum. The infection dripped through the home they made overnight in my tooth and went back and they gave me a temp filling. I did not get a crown because it is at the front of my mouth and no other teeth or food touch it (that’s another story). So the infection came back but it’s small and there’s swelling inside my gum above where the root canal tooth is. I’ve had this for a year. But there was never any pain with it, and it has not gotten bigger in swelling size. It has a small white bump on it and I can push and move around the swelling with my finger but not totally squeezable(?). Going to try out this method but was wondering if the author had any advice or if anyone else has been through the same experience I have and have found relief. Thank you. Sincerely- an over thinker who drives himself crazy from worry. Teabag finally worked. Over 30 minutes but the relief was instantly. Thank you! Great Article! I'm a fellow hubber but found this on a Google search. Just what i was looking for! Great info! Thank you for the comment Lesli. As my hub says, I'm not a dentist, so please do seriously consider going to the doctor. That being said, the only time I've had headaches/migraines related to dental problems, was once when a tooth was pulled and it's socket was deep enough that it opened right into my sinus cavity, and another time when one of my eye/canine teeth was horribly infected. The dentist said at that time, that the headache pain was from the infection that ran very deep, and again went far enough to go into my sinus cavity. The only other time I've had a relatable headache, was when my blood pressure went way up for an unrelated problem. So if I were to take a guesstimate at what's going on, I'd say you had more than just a superficial/shallow abscess, and that it's either spread into your sinuses already, or the ordeal of popping the abscess has raised your blood pressure and has heightened the pain. Either way, that becomes dangerous without proper diagnostic tools. Aside from going to see a dr asap, you could also grab some plantain leaves, wash and chew them, then pack them around where the abscess was. You could also use the teabag method i mentioned in the hub for popping the abscess, as the astringent will also continue to pull out any infection, which if I'm correct, is your biggest threat right now. If it were me, and i couldn't see a doctor for some reason, I'd also grab some fresh garlic cloves and onion bulbs, chew and eat at least a clove of each 3-4 times a day. I'd also get some aloe vera juice, some apple cider vinegar with the mother, and some coconut oil, and take them all throughout the days until the headache and infection started to wane. I'd also drink lots of water and exercise more, to circulate everything. Just so you know, be prepared for a hella headache following a bad abscess that's burst or that you've drained yourself. Well dependent upon the location I suppose. If your abscess is toward the front of your mouth, in one of your top teeth. I'm currently debating a trip to the ER due to a blinding headache. I came here to get some aftercare advice if I could find any. I did the needle method about an hour ago and it seemed to work. All I had left was loose skin where the bubble was. But now it seemed to fill up again... I'm considering doing it again on a different spot... It absolutely helped the pain.. A TON... thank you for the helpful article. Oh wow, I had to cringe my way through your hub. I had one(abscess) just a few weeks ago, so your article really intrigued me. I did my best to just leave it alone, and let resolve of its own volition. It took like a little over a week, but it went away on its own. But I could hardly eat anything I wanted..
Next time I'll try your method, thanks for making it so easy to understand the steps. I currently don't have dental insurance, and only go for cleanings and check ups. So, anything I can handle on my own, I make the attempt to.. Placing a teabag on the abscess for 30 minutes popped it painlessly, I couldn't believe it. Just be ready to push out the puss/sterilize with a salt water rinse followed by a peroxide rinse. I poke at the abscess a bit. not enough to break it but enough to do some minor 'damage' in the right area over a few days. this encourages it to pop in a place that reduces the chance of pockets of pus staying in hard to reach areas. Well written article. It covers all the angles. It's hard to learn these things without a deep knowledge and understanding of health food natureopothy. The teabag treatment worked for me! I had an abscess on the last molar on my left lower jaw. I tried taking painkillers and applying local anesthetic for three days and two nights but none worked to numb the throbbing pain. Then I stumbled on this article and my first thought was to prick the boil. Lucky for me I couldn't find any needles or pins to use so, reluctantly, I opted for the teabag treatment and the abscess burst of its own accord seconds later. Instant relief! Draining the boil was the hardest part for me due to its location. Lucky for me I had a standing appointment with the dentist the following day so it's off to the doctor's tomorrow. I'm very grateful to the author. If ur in bum fucked Egypt i am glad i read this article....cuz i have family who live on ranches where its hours from anywhere...so will try this if i ever need to. And make an apt to be seen asap after that. I would rather pop it myself then end up with a horrible heart problem that could kill me cuz i waited to long. The sea salt combo with the baking soda worked for me perfectly. I had a root canal in April, the infection at that time was so bad the dental surgeon had to perform the root canal twice in a week's time. In July I had an abscess under that tooth which the dental surgeon punched out and then again this week a new abscess as the bone heals. I see the doc in two days but the abscess was so huge I used your concoction and it worked like a charm. Thanks. 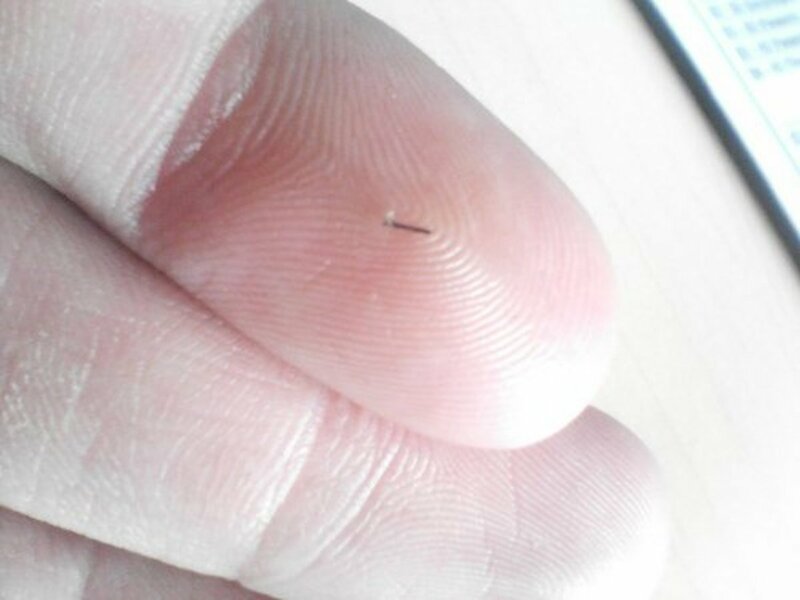 btw it was never painful but as big as a small marble or maybe the size of a large pea and niggled at me anyway. I had an abscess form under a tooth after suffering a trauma and snapping my teeth together. The pain was excruciating but didn't become so until after dentist hours. Compresses and otc medication only did so much, and then I came across this article. I was hesitant to lance the abscess, even though I could see the head, for fear that i would make it worse by attempting to drain it before it was ready. 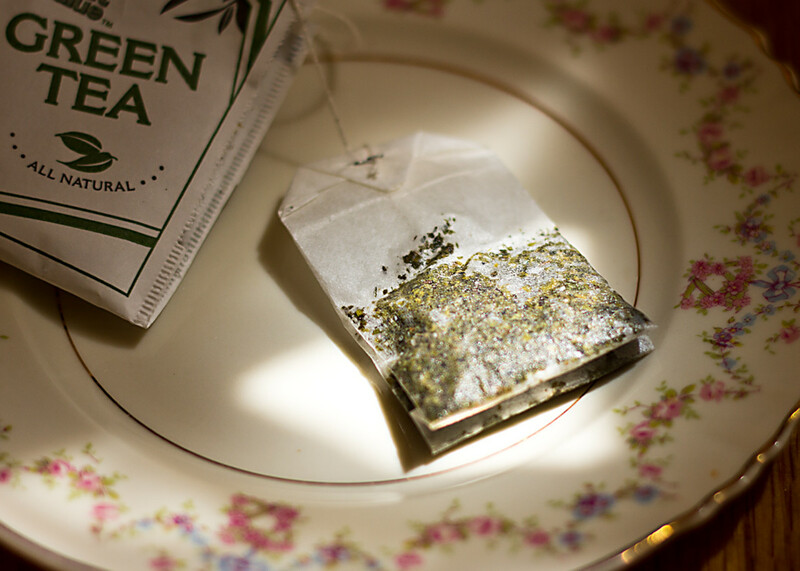 I had tea bags on hand and thought that seemed to be the most natural way to speed up the process. After about 20 minutes with a green tea bag over the infected site, the pain grew and then was suddenly gone. Rinsed with peroxide, checked the mirror and, sure enough, drainage. Thank you so much for the well written article, all the tips, there is no way I would have made it through the night otherwise. As it is, pain is mostly gone and I can hopefully get some rest before taking care if this tomorrow. I'm a spelling nazi and it should be 'abscess' and not 'abcess'. Great article, very clear, reassuring, well written. "you're"--you're (you are) ready to lance your abcess. I have had dental problems myself for a very long time. Being a single mother with a house payment and a car payment, isn't easy to afford a dentist. I had an infection on my bottom left molar just recently tho there wasn't any pain it was swollen. When I pushed around on the swollen area it popped! I was amazed at what happened. I've done everything you said to do and it's worked. I also set up an appointment to have the tooth removed and the dentist (over the phone) said it's was good that it drained before he seen it, simply because he would have had to drain it himself, then give me an antibiotic and then pull it out a week later. Now that I'm almost done with the meds it's time to get it removed! I can't express how (sarcastically) excited I am to have one less tooth! Thank you for such a useful and informative HUB. You've listed all of the instructions clearly and logically. I'm sure this will be of benefit to so many folks. I think I would still opt for a dentist to do it. Just to make sure. Anyway, that's a courageous stint. Something about this is terrifying yet intriguing. I am all about do it yourself. Well written hub. Please everyone, get to a Dentist! Don't forget your local University may have a Dental Clinic. Your Community College may have a Dental Hygiene Clinic. These options will cost much less than a private Dentist. An untreated abscess can kill. An untreated abscess killed a Maryland girl approximately 5 years ago. All that pus, bacteria, etc, is dumping into your blood stream. Yes, I know that some of you have popped them and spit out the pus. The tooth still needs to be looked at and treated! Thank You so much for the post. My jaw started itching yesterday. I injured it ( six months ago)when I fell on the counter trying to get something down, really hard.... Anyway, I had no I idea that made me vulnerable to abcess. So I started with sea salt treatments, things got more intense, I used Advil. Next I rinsed again with sea salt. Then I put a chamomile tea bag on the spot. I went about 8 hrs, and rinsed again with sea salt. I began to see a head. It was white. I used one green tea bag. Placed it on the area. Then I took a Tylenol. Few hours later I felt a burst, I went to spit it out. Then I began to rinse thoroughly with peroxide, and I tried to push any excess puss out. Then I did the sea salt again. Now I'm going to bed with a green tea bag to be sure all the infection is out. I could not have done this without this info. I feel sick to my stomach, mostly because I need sleep, but, my tooth feels 90 percent better. Thank you for the baking soda and salt treatment. It actually worked and i am starting to feel somewhat human again. Again than you! Thank you for your very informative and helpful article. I've had to deal with these abscesses now for about 5 years. I have a seizure disorder and ground my teeth to the gums. I only had one cavity when this started. Now i need dentures. No insurance. Im not in a good spot. Thanks again! This is a very helpful hub. A monthly dental check up should bot be forgotten. Perfect Lauren! Thank you for the info! I have found oil pulling with caster oil for 20 min. Several times a day will bring my abcess to a head quickly and helps relieve the pressure in the mean time. Love caster oil. I agree with you; far too many people go without dental care due to financial restrictions. There would be a lot fewer dental emergencies if preventative care were more affordable also. Thank you for the great comment. Dental challenges are certainly very serious, regardless of where they start out. I've got a genetic dental dyfunction myself, which lead to early and very serious tooth decay in my teen years. Now at 27, I'm due to have my final few removed and get dentures. Out of anyone you might talk to, I can certainly verify that it is way to easy to have a small tooth ache turn into a gigantic infection, even if you don't try to pop them. Too bad dental care isn't more affordable around here. It's so sad to know so many people that have no alternative options.